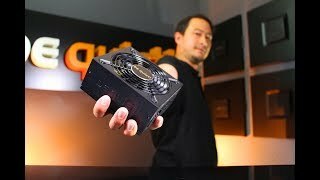 SFX L Power | 600W compact Fuentes de alimentación con funcionamiento silencioso de be quiet! be quiet! SFX L Power 600W is especially recommended for mini ITX PCs and compact gaming systems. For compact PC systems that perform beyond the ordinary, with an ideal combination of features, power, efficiency and reliability, choose SFX L Power 600W. SFX L Power 600W is certified 80 PLUS Gold with an efficiency rating of up to 92% – a truly outstanding level for this class of PSU. The most compelling benefit: lower power consumption and consequently lower costs with cooler and quieter operation. ¿Ya está usando una fuente de alimentación be quiet! 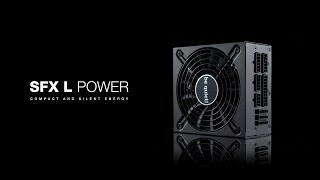 y desea ahora ampliar su sistema con SFX L Power | 600W Compruebe aquí qué cables son compatibles y no es necesario sustituirlos.